Once in a while, I drop by the mini-mall down the street from my old neighbourhood for a snack, or a meal at Todo Rico Bakery in Mississauga. They have different kinds of baked goods on display from bread to cakes to cookies. 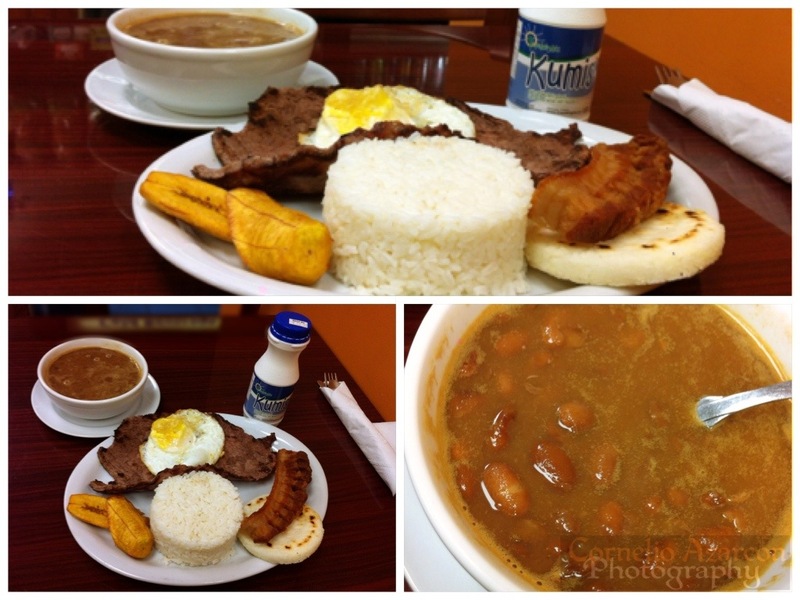 Todo Rico is not only a bakery, but also a restaurant/cafe that specializes in Colombian cuisine. I ordered the Bandeja Paisa, a meal platter that consists of grilled steak, red beans, fried egg, fried plantains, chicharron, arepa, and rice. The steak was sliced very thin, lightly salted, and barely had any other seasoning, if any at all. The fried egg, fried plantains, and chicharron were all lightly salted, but could’ve used more seasoning. Overall, for a plate that costs $11.99, it lacked flavour, and was quite greasy. 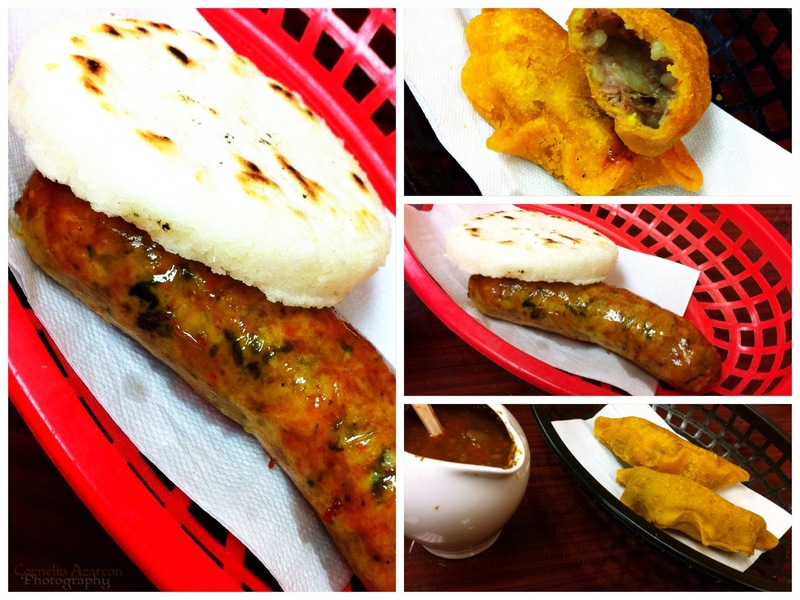 After I finished the platter, I ordered a chorizo with arepa, and beef empanadas. The chorizo was freshly cooked, had a nice strong flavour with a little bit of herbs, cumin, and turmeric. Together with the arepa, or corn cake, it makes for a nice light snack. The beef empanadas were also freshly cooked, and were very crunchy. It comes with their homemade salsa, which is very flavourful and adds a kick to the empanadas with it’s perfect blend of cilantro, tomatoes, and jalapeños. Overall experience, nice cozy cafe with great snacks. The steak on the other hand needs more seasoning and flavour.